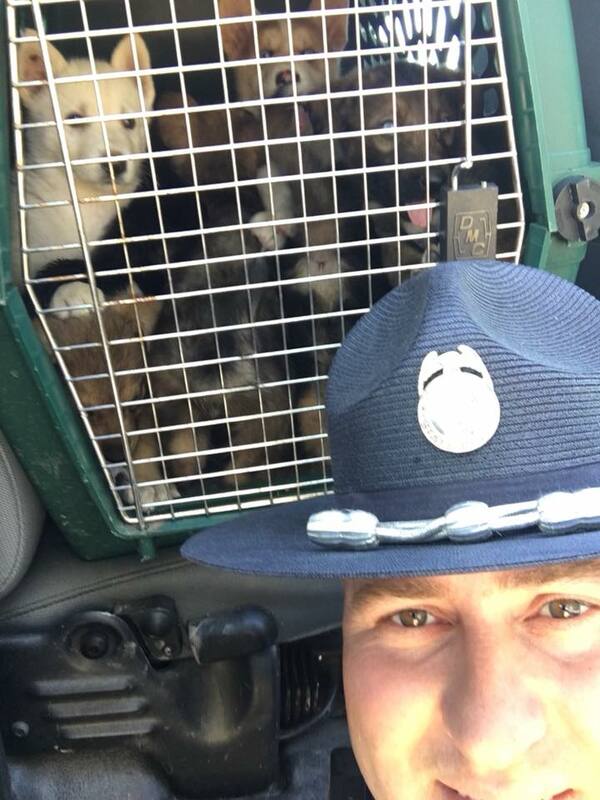 An Oregon State Police trooper rescued 10 puppies that were locked in a trunk without water while on a trip from Southern California to Seattle. On May 14, the Oregon State Police Department said Senior Trooper and K-9 handler Travis Peterson stopped a 2008 Ford Fusion after showing several signs of suspicious activity. A consent search revealed 10 Husky/German Shepard puppies locked in the trunk with no water and no air-conditioning on a 90 degree day. The owner was cited for animal neglect. “OSP’s K-9 unit is not always about just finding illegal drugs, some days they get to save the lives of puppies,” the department wrote on Facebook. The puppies were taken to Jackson County Animal Services in Phoenix, Oregon.